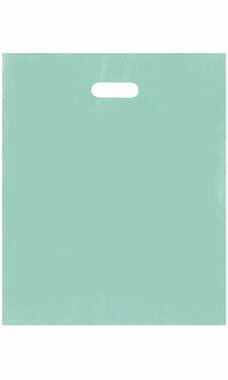 Add a hint of sophistication at an affordable price with our aqua frosty plastic merchandise bags. Our bags feature a integrated die cut handle for easy carrying. They are an excellent choice for all types of apparel and gift merchandise. 15" X 18" X 4" bags are sold in cases of 250.